Paddywax’s Urban collection is one of a kind. It is perfect for lovers of city life and unique home décor. 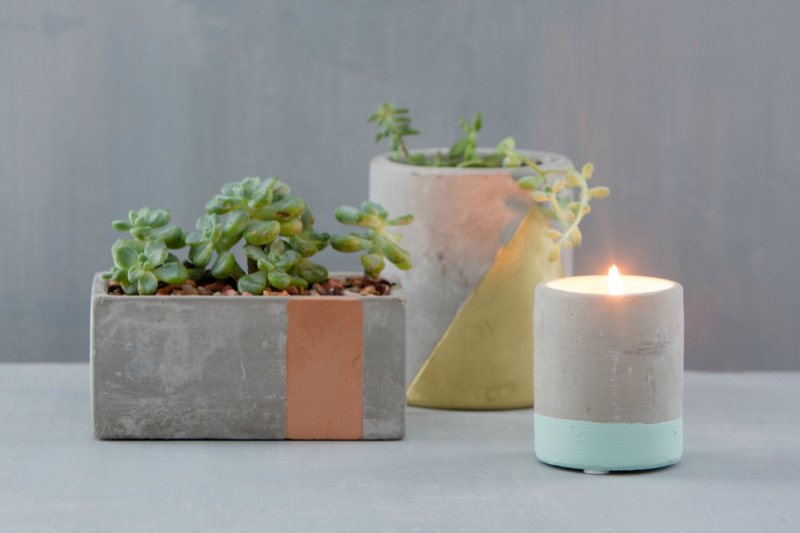 On-trend concrete cylindrical vessels have been decorated with hand-painted geometric accents in striking colours. Paddywax have selected their most popular fragrances for the innovative and on-trend home fragrance collection. The choice of scents, colours and sizes allows you to create your own unique cityscape candle garden at home. The hand-blended fragrances feature essential oils and botanical extracts to enhance your surroundings. The signature soy wax blend and lead-free cotton wicks ensure a long, clean burn. So what scents are available? Tobacco & Patchouli – Patchouli carries a sweet fragrance with a woody edge and blends beautifully with the tobacco plant’s fresh notes of citrus and juniper berries and the underlying base notes of vetiver. Amber & Smoke – A deep, woodsy, slightly piney aroma – it feels natural and organic. Sea Salt & Sage – An ozonic fragrance perfect for bathrooms or rooms that need to be revived.The earthiness of sage mingles with an air of sea salt to create a beautifully refreshing fragrance and will take you on an embracing walk along stunning coastal paths. Salted Grapefruit – A sparkling citrus scent that will energise and refresh both you and your home. Bergamot & Mahogany – An alluring combination of fragrances. The deep, woody and spicy notes of mahogany have been hand-blended with the lighter slightly bitter citrus note of bergamot to create a seductive aroma. Indigo & Driftwood – Indulge in a fresh fragrance experience with this oceanic, woody and musky aroma. Fig & Olive – A Mediterranean medley of enticing fragrances. The rich fruity aroma of freshly picked figs blends beautifully with the fresh herbaceous scent radiated from the leafy branches of an olive tree. The overall aroma is deep, fruity and truly irresistible. Please remember to recycle, reuse and rekindle the vessel when the last flicker of light has gone out. 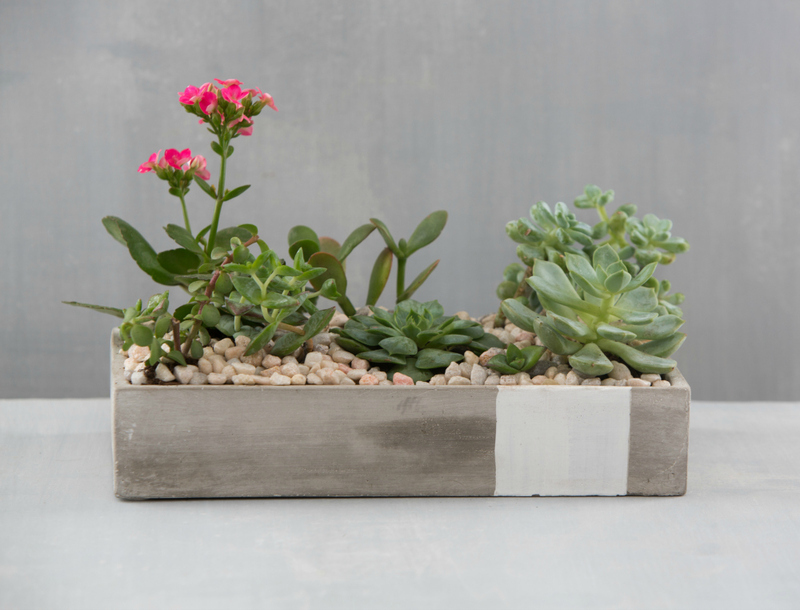 It will nurture plants, store everyday odds and ends, look after personal treasures and trinkets. If you are looking for a unique home accessory, personal treat or birthday gift this may be just what you need. 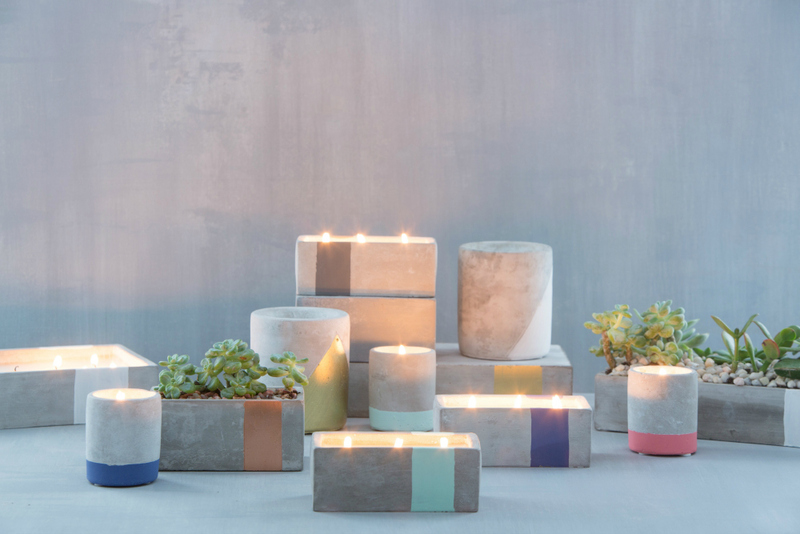 The range of colours, sizes and fragrances make Urban concrete candles suitable for all occasions, all decorative styles and both men and women will love having them in their home. Stay tuned for some reviews of products from this fabulous collection, but until then be sure to show Paddywax some love on Facebook and on Twitter.